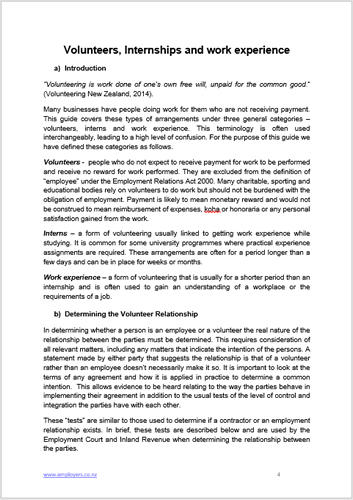 This eBook has been written in order to formalise the relationship of volunteers in businesses. 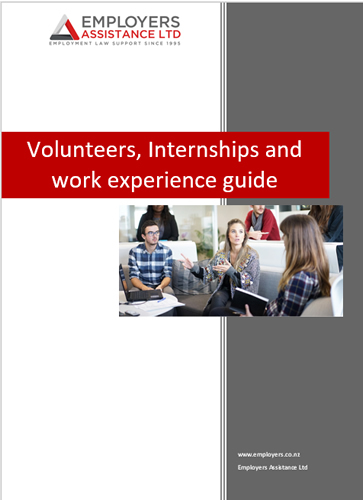 It has all the necessary documents in order to demonstrate to the Employment Relations Authority and the Employment Court that there is a volunteer relationship. Without written documentation, there is a real risk that unpaid Volunteer work will give rise to payments required under Minimum Wage Act 1983. With clear documentation, such a dispute can be avoided. When engaging a volunteer at your workplace ensure you formalise things and protect your business by using our Volunteers Deed, or use a Candidateship Agreement if you intend to do a pre-employment trial. This eBook package contains the Book in PDF format and all the forms listed in Word. Last reviewed in June 2018. "..The professional knowledge of your staff and the ease of dealing with them is a credit to you all. Thank you Employers Assistance for everything!.."